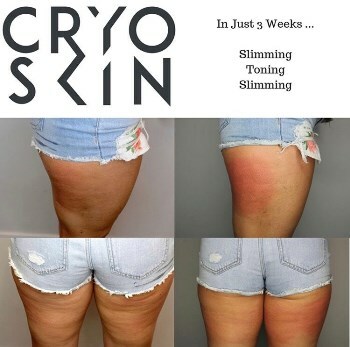 Cryoskin Slimming and Toning (Body)- One session of slimming or toning. Value: $500- Valid for new clients only. Cryoskin has been transported from Paris, the beauty capital of the World, the first of its kind in the US. It is available exclusively at Skingevity Med Spa. Using a 3-phase thermal shock to destroy unwanted fat cells, eliminate cellulite and improve collagen production. CRYOSKIN SLIMMING-This is a 28-minute treatment that applies both heat and cold. We will focus on one area of the body, let’s say the stomach for now. We will apply 2 minutes of heat at 40ºC then 12 minutes of cold at -8ºC, we will then flip you over and perform the same on the love handle area. This thermal therapy will cause the fat cells to drop between 17º – 12ºC causing them to naturally destroy and pass through the lymphatic system. 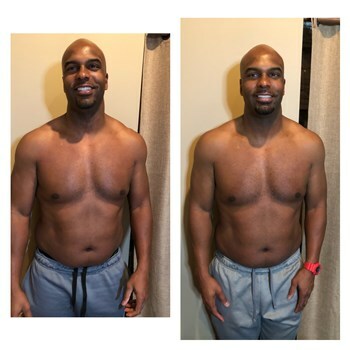 This treatment can only be performed every two weeks to give the body enough time to let the fat cells naturally pass through your system. CRYOSKIN TONING This treatment is 20 minutes in length, cold therapy only. Again we will focus on one area at a time but we can perform more than one area in a session. 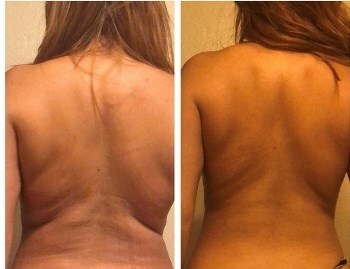 The device will drop to -2ºC this causes local metabolism and microcirculation to improve in the area we are focusing on, with both these components improving this will boost your production of collagen eliminating cellulite, toning the area and reducing the signs of aging. Clinical studies available upon request at Skingevity.